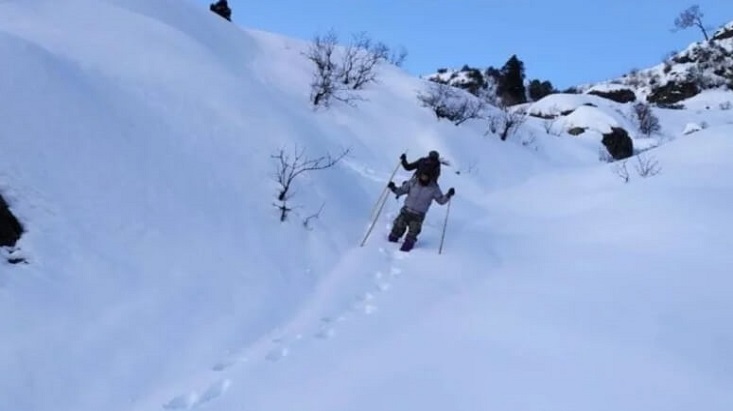 This year, the route to Kedarnath Temple is covered with a lot of snow, an experience which promises to be unique. Every year, lakhs of devotees undertake the journey to visit the Kedarnath Dham, which is a part of Char Dham located in the Himalayas. Kedarnath Yatra starts from 9th May, and these snow covered walking roads promise to enhance the overcall excitement along with sightseeing opportunities. What’s more, the snow can be seen and enjoyed by tourists till the month of May. Along with seeking the blessings of Lord Shiva, you can also enjoy sightseeing. Which roads are covered with snow this year? The snow covered roads can be seen from Rambara to Rudra Point, as the road between them has been formed by cutting through the snow. There are many places along the route where these snow formations reach 45 ft in height, and are quite easily noticeable from quite a distance. 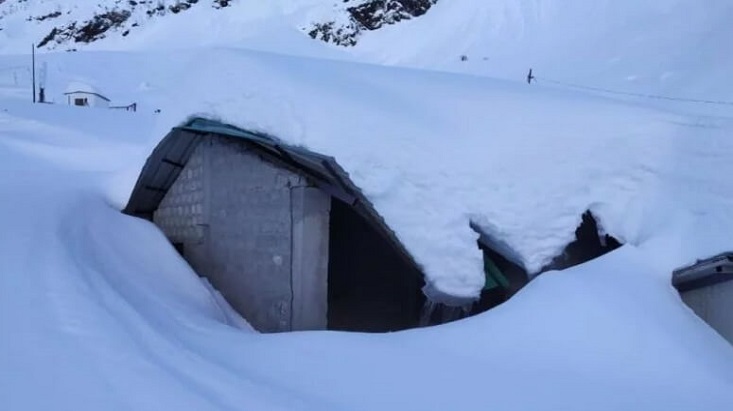 Kedarnath Temple, located at a height of 11,500 ft approx, has received a huge amount of snowfall this year. 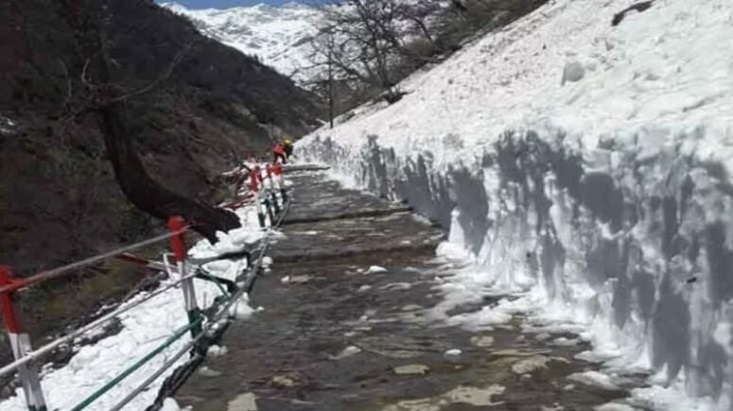 As a result, the temple premises and the surrounding areas, along with the road to the temple, are covered under 12-15 ft of snow. Some of the walking routes are also clothed with snow. One of these is the Gaurikund – Kedarnath route, where the road from Bhimbali to Kedarnath is clothed with a thick layer of snow. There are more than seven glacier zones from Rambara, Choti Lincholi and Bari Lincholi to Kedarnath. Snow formations measuring 30-45 ft in length can be found in the areas falling under these zones. Naturally, crossing them will be a very difficult task for the devotees. These huge snow formations, which are also aesthetically pleasing, can be seen by devotees even after the main doors of the temple are opened to visitors. It promises to be a unique and exhilarating experience, as devotees will reach Kedarnath using the road which was opened after cutting through the thick snow. Most of these snow formations reach about 25 ft in length and are spread over a very large area. Is this the first time that the walking routes have been covered with snow? No, this is not the first time that the walking routes to Kedarnath Temple have been covered with snow. In the year 2015, several areas were covered with snow. At many places along the route from Lincholi to Chani Camp, roads were constructed by cutting through thick snow. The difference this year though, is that tourists can enjoy the snow covered roads till the month of May. What are the dates for the Kedarnath Yatra in 2019? Kedarnath Temple will open this year on 9th May at 8:50 AM and will remain open till 21st October, on which day Bhai Dooj is celebrated. 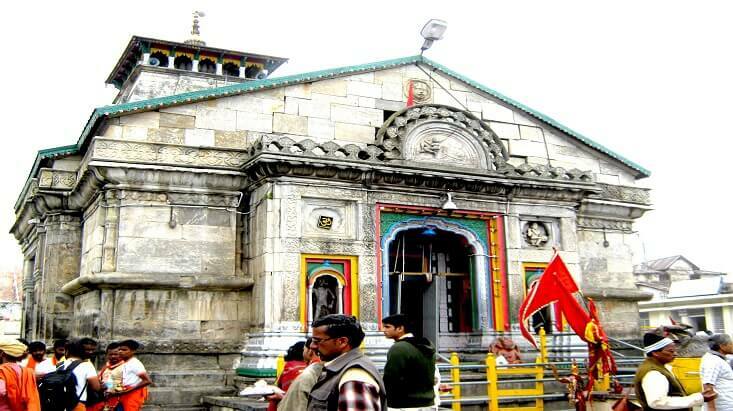 Badrinath Temple will open its doors to devotees on 6th May and remain open till 30th September, which also happens to be an occasion of Vijaya Dashami.